New American Funding – Carrollton began operation in May of 2014. Located in the heart of Dallas-Fort Worth down the street from The Shops at Willow Bend, New American Funding – Carrollton is a team-focused company determined to deliver exceptional service for all funding needs. 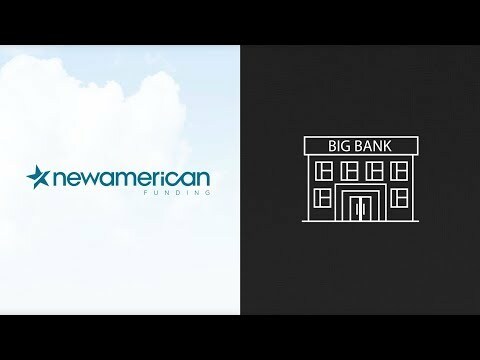 New American Funding is an all-inclusive mortgage bank with over 1,800 employees across the nation and fund over $900 million in home loans every month. With a vast array of loan products such as; VA Loan, FHA Loan, Reverse Mortgage, Home Improvement Loan, Conforming Loan, Jumbo Mortgage or USDA loan; NAF – Carrollton has a skilled and dedicated team of loan consultants to help you through the lending process. We will provide insightful consultation and local real estate expertise. We are a Fannie Mae, Freddie Mac and Ginnie Mae Direct Seller/Servicer, FHA Direct Endorsement – HUD Approved mortgage lender. From origination to funding, our underwriters and funders all work in-house creating a cohesive team that enables us to close loans fast and improve the customer experience. Dallas • Plano • Allen • Frisco • Coppell • Richardson • University Park• Lewisville • Farmers Branch • McKinney • Addison • Highland Park • The Colony • Trophy Club • Flower Mound • Grapevine • Highland Village • Denton • Hurst • Southlake • Euless • Rockwall • Arlington • Little Elm • Wylie • Waxahachie • Grand Prairie • Roanoke • Irving.